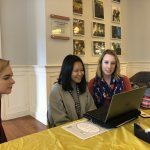 (Left to right) Christine Harriger, director of career development, Jessica Burroughs ’18, and Kristin Dabney, alumnae and alumni career network manager, go over job search materials. 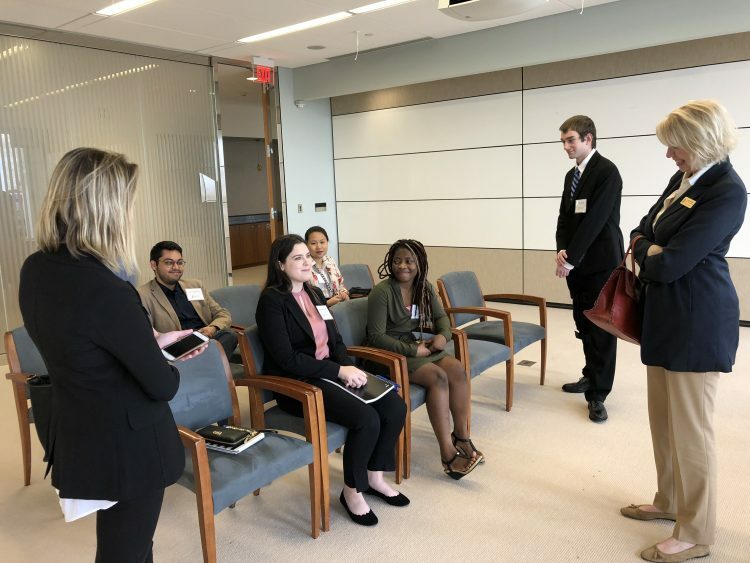 Jessica Burroughs ’18 spent much of her senior year networking with alumnae and alumni in the financial sector in Washington, D.C. And in the spring, she was one of a group of students who embarked on a career immersion trip to the Federal Reserve and Commonwealth Retirement Advisors in Richmond, Virginia, where the students shadowed and gained valuable advice from new mentors. 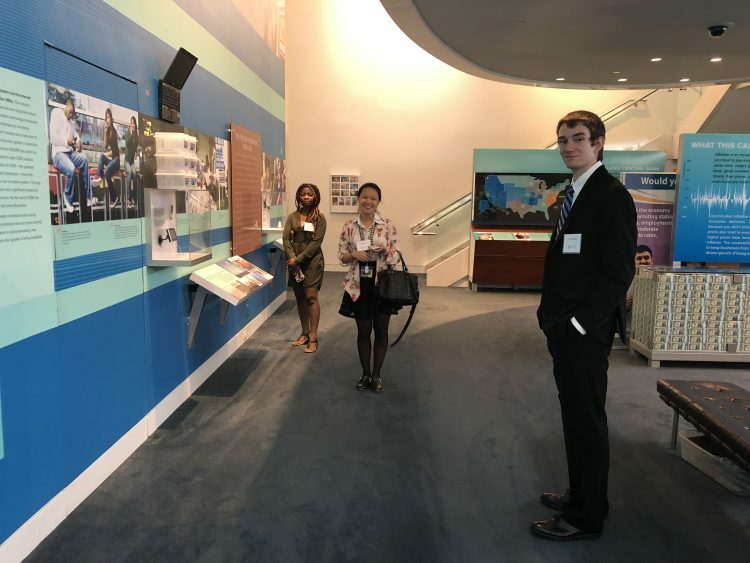 At the time, Burroughs never dreamed that one of the connections she made during the trip would lead to a job after graduation. 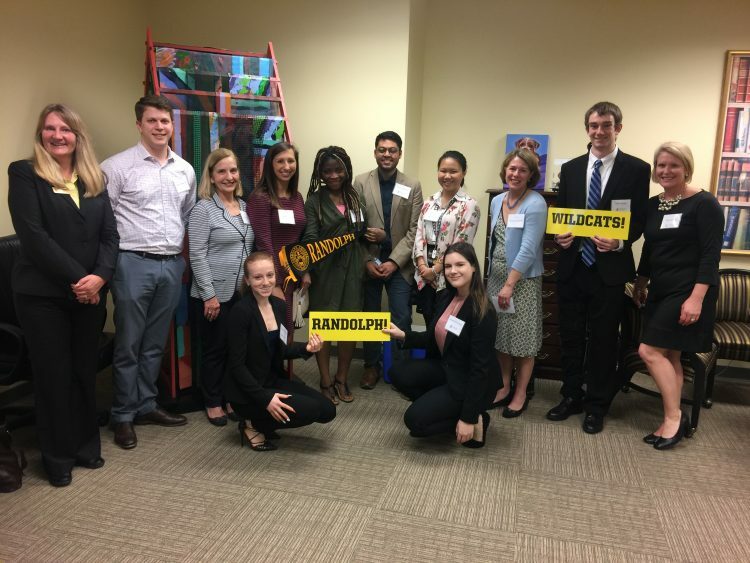 She was hired as a human resources systems associate at EAB this June and is one of many students and graduates who have already benefited from Randolph’s new partnership between Randolph’s Career Development Center and the Office of Alumnae and Alumni. 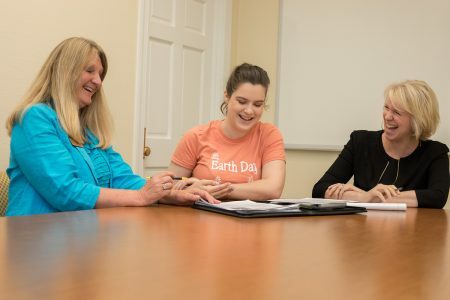 Christine Harriger, director of career development, worked closely with Phebe Williamson Wescott ’78, director of the Office of Alumnae and Alumni, to develop the new initiatives. 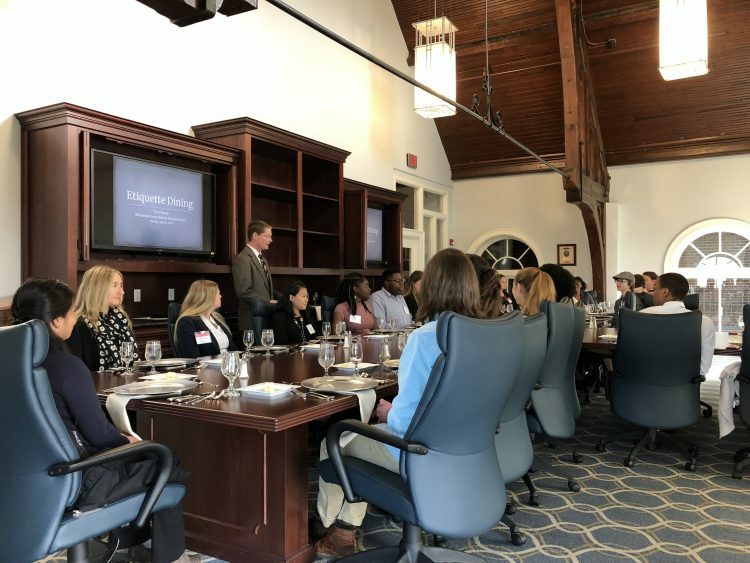 One of the first steps in accomplishing Harriger’s goals was to hire a new alumnae and alumni career network manager—a two-year position funded by an anonymous alumna. 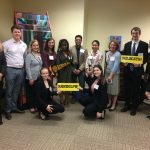 Kristin Dabney began her work in the position last summer, with a goal of increasing engagement between graduates and students on the subject of careers. 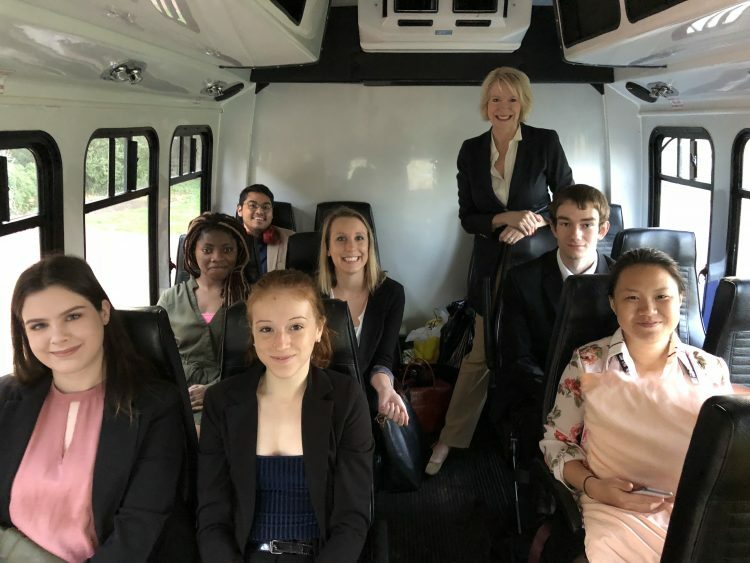 In addition to the career immersion trip to Richmond, other programs this past year included an international career panel, a dining etiquette session, a social media branding workshop, and multiple job, internship, and graduate school fairs both on and off campus. 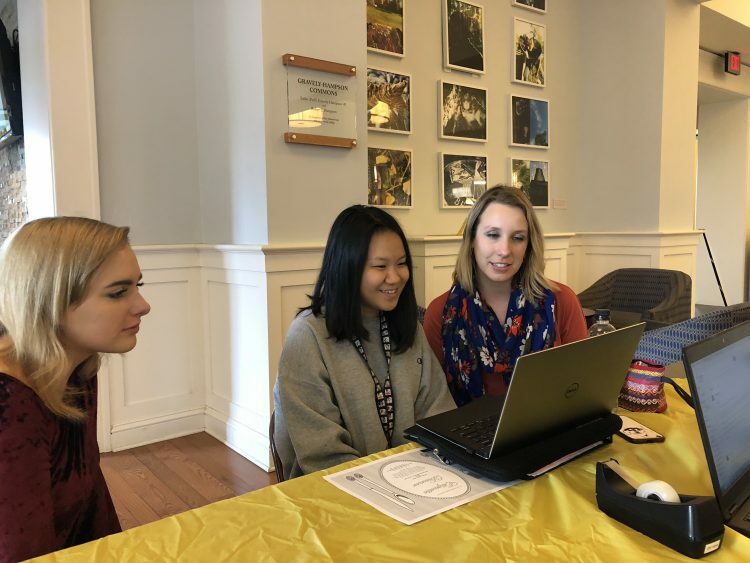 The Career Development Center also continued offering its traditional services for students like LinkedIn workshops, Résumé Revamps, and internship counseling. 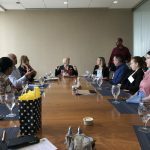 Burroughs credits the College for not only helping her make important contacts that led to a job interview, but also preparing her well for the entire job search process. 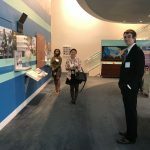 Another important part of the initiative was to relocate the Career Development Center to an area on campus where it would be more centrally located and visible to students. The office moved from West Hall to Thoresen Hall last summer, just before the start of the 2017-18 academic year. 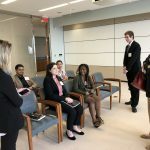 Networking has also been a focus in the new partnership. 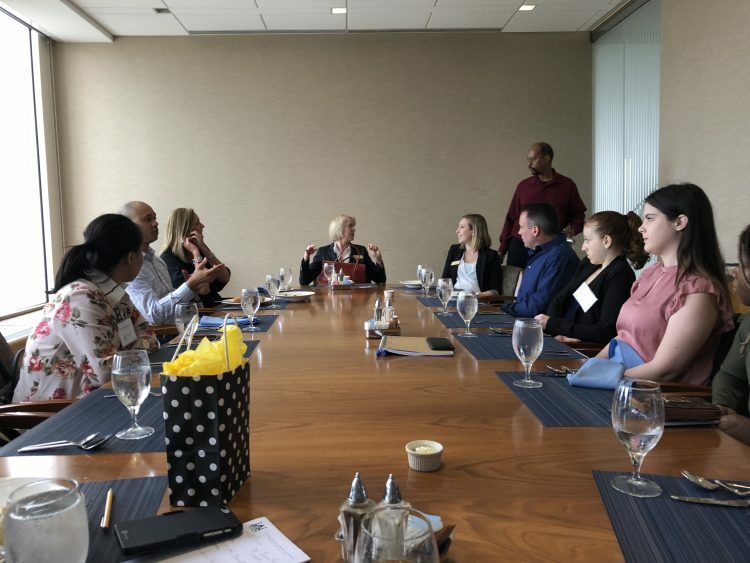 In April, Dabney visited dozens of graduates on the West Coast. 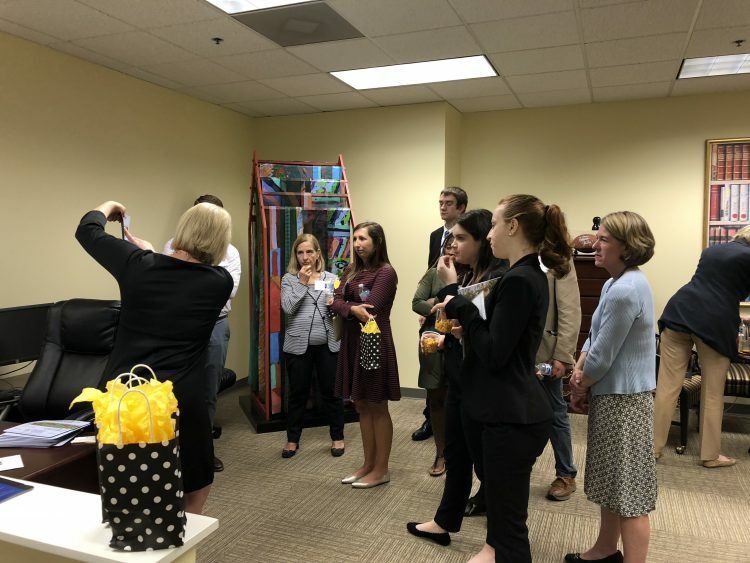 She met individually with numerous alumnae and alumni and also attended networking and chapter events, meeting graduates from 1956 to 2015. 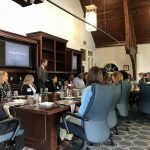 The number of alumnae and alumni who wanted to become more involved with the College and its students also impressed Dabney. 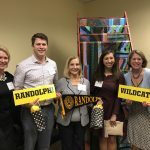 The third phase of the new partnership is to develop a new online community where Randolph’s vast network of alumnae and alumni, current students, parents, faculty and staff, and other friends of the College can share career information, job postings, and other College-related updates. 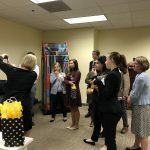 The new platform, powered by Graduway, will launch this summer and will be called RandolphConnect. 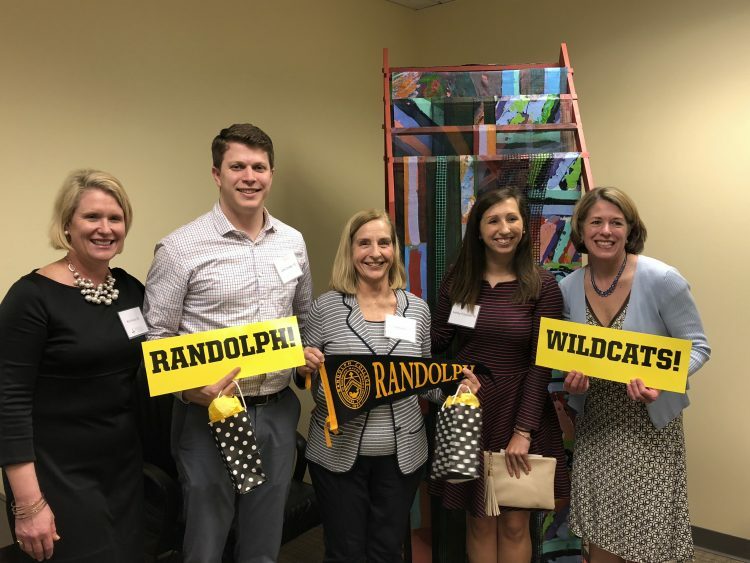 President Bradley W. Bateman applauded the efforts by Dabney, Harriger, Wescott, and other staff to better connect the Randolph community at large.